Although there are three Grade 1 races scheduled to be run this Saturday at Santa Anita, the best race on the card might actually be the $400,000 San Felipe Stakes (gr. II). The 8.5-furlong race is shaping up to be a battle between McKinzie and Bolt d'Oro, two of the early favorites for the Kentucky Derby. Regular readers of this blog know that I'm a big fan of McKinzie, going so far as to declare on the day of his maiden victory that he would win the Derby. Only time will tell if McKinzie can prevail on the first Saturday in May, but I definitely like his chances of winning the San Felipe. Trained by Bob Baffert, McKinzie is technically unbeaten in three starts, though one of those wins was actually a runner-up effort in the Los Alamitos Cash Call Futurity (gr. I), a race in which he was placed first via the disqualification of stablemate Solomini. In any case, McKinzie has shown flashes of significant talent during his brief career, breaking his maiden sprinting seven furlongs at Santa Anita with a 99 Beyer speed figure and most recently winning the January 6th Sham Stakes (gr. III) by 3 ½ lengths with a 98 Beyer. But McKinzie is much more than a simple "speed machine." Though he's recorded fast final times, he seems to be at his best coming from off the pace and appeared to get leg-weary in the Los Alamitos Futurity, in which he made an early bid for the lead in what was his two-turn debut. He produced a much stronger finish in the Sham Stakes, rating in fourth behind a modest pace before accelerating the final quarter-mile in :24.41 to win going away. McKinzie main competition will almost certainly come from Bolt d'Oro, who stunned the racing world with his remarkable 7 ¾-length triumph in the FrontRunner Stakes (gr. I) over this track and distance last September, earning a 103 Beyer. A repeat of that effort would make Bolt d'Oro difficult to beat, but it's worth noting Bolt d'Oro has a history of breaking slowly from the starting gate. After overcoming slow starts to win his first two races, including the Del Mar Futurity (gr. I), he got off to a better start in the FrontRunner but returned to his slow-starting ways in the Breeders' Cup Juvenile (gr. I), which led to a very wide trip and a third-place finish as the heavy favorite. Bolt d'Oro hasn't run since then, and while he's turned in some sharp workouts in preparation for his return, he once again broke slowly from the starting gate in a six-furlong workout on February 26th. A slow start while breaking from the rail in the San Felipe could lead to a tough trip racing inside of horses and compromise his chances. Even still, he must be respected off his tremendous juvenile form, but I think McKinzie is poised to work out the better trip on Saturday and gain a small but meaningful advantage. Kanthaka is another logical contender, having produced an explosive rally to win the seven-furlong San Vicente Stakes (gr. II) by 3 ¼ lengths last time out, earning an eye-catching 99 Beyer speed figure. But while Kanthaka clearly has talent, his pedigree suggests that he could wind up best as a sprinter, and it's worth noting that he got a very favorable pace setup in the San Vicente. According to data from RacingFlow.com, the San Vicente received a Closer Favorability Ratio (CFR) of 95, ranking it in the top 6% of closer-favoring races. Unless Kanthaka receives a similar setup in the San Felipe, which doesn't appear probable, he could have trouble reproducing his San Vicente performance. One longer shot to consider is Ayacara, who recently parlayed a ground-saving trip into a late-running second-place finish in the Robert B. Lewis Stakes (gr. III) at Santa Anita. The race didn't come back all that fast in terms of speed figures, but Ayacara also ran reasonably well when fourth in the FrontRunner Stakes and could be a contender if the track comes up sloppy, a distinct possibility given that weather forecasts call for rain at Santa Anita on Saturday. According to data from Brisnet, the progeny of Ayacara's sire--the young stallion Violence--win at a 25% rate on off tracks, and jockey Kent Desormeaux performs well when riding deep closers on muddy tracks, frequently finding the best footing and guiding them to victory with bold rides. Peace is 15-1 on the morning line and might be in a bit deep considering that he finished a distant fifth in the Robert B. Lewis Stakes, but jockey Mike Smith told Santa Anita Publicity after the race that Peace didn't react well to the addition of blinkers, so trainer Richard Mandella will remove them for the San Felipe. Peace had previously beaten some quality horses in maiden races, including future Lecomte Stakes (gr. III) winner Instilled Regard and recent maiden winner Restoring Hope, so if Peace rebounds with the removal of blinkers he could find himself in the mix on Saturday. Lombo utilized his excellent early speed to win the Robert B. Lewis by two lengths in gate-to-wire fashion, but he benefited from securing a clear lead that day and could face more pace pressure in the San Felipe from Aquila, who enters off a front-running maiden win at Santa Anita for trainer Simon Callaghan. I don't think they'll necessarily burn each other out on the front end, but with McKinzie and Bolt d'Oro likely to be breathing down their necks from the start, hanging on to finish in the trifecta could be a tough task for Lombo and Aquila. So to recap, in this showdown of top Derby contenders I'm picking McKinzie to win over Bolt d'Oro, with Ayacara and Peace being longshots that could boost the payoffs by finishing in the trifecta or superfecta. Now it's your turn! Who do you like in the San Felipe? 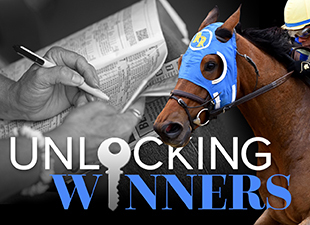 Want to test your handicapping skills against fellow Unlocking Winners readers? Check out the Unlocking Winners contests page--there's a new challenge every week! The Unlocking Winners Road to the Kentucky Derby Handicapping Challenge is back for the fourth consecutive year! Please be sure to post all entries, prime horses, and stable additions on the contest page. Thanks, and enjoy the racing!